Hi friend, Perhaps if we all start a petition like this one and we get millions of these and all sign as many as we can, we can make a difference. That is how they put an end to the human slavery. By consistent daily petitions. It is for free and you can keep it very short so it will not take much of your time. You do not have to write a lot like I did, or read it all if you are too busy. Feel free to copy any text as well. Add nothing, or a personal touch or some scientific facts, that is up to you. So sign and create one yourself. And then sign a few every day. Please share your petition with all your connections. And ask them to make one too and share it around. If we all do this, we can make a serious impact.That is how they put an end to the human slavery. Apparently by very active continuous daily protest petitions directed to the British house of commons it was first accomplished in England to put an end to human slavery. Wales and Scotland followed firmly and the rest of the world slowly moved towards this too. having a large population on this earth can be a blessing not a problem. if we raise our consciousness. I think for such a huge change to happen one petition will not have enough impact. Let's make this a global and un going thing. Direct it at your government or who you think can make a difference. And we will all find each other when we search the petition sites and sign each others petitions. Let's create a world without suffering where everybody is happy and healthy and free. Is cannabis capable of curing most of today's terminal and otherwise devastating diseases? Even baby's, children and animals are healing from a wide variety of diseases with this medicine if taken in a certain protocol according to numerous stories I read on the internet over the years. I found a neurologist willing to start an official clinical trial lacking money and resources. Using Rick Simpson's protocol of ingesting 60 grams within 90 days of pure t.h.c.-oil of an indica strain. Contact me if you know funders. But really this is something the government should fund. And also, do we really want to wait till they officially test this particular protocol of this healing herb. Is the evidence not overwhelmingly present already? Please look at all the studies available. An enormous amount of studies have been done already, proving the effectiveness of cannabinoids. When ingested or vaporised, for smoking (more than 3 a day) will have to many harmful side effects. Even really old people were able to cut their medine in half for various illnesses so was recently tested in Canadian retirement homes. But in Israel for instance they already give this out in retirement homes as their protocol, because they know it works. Why are we still testing it? Children can manage really serious symptoms for several diseases like we know from the recent public outcry that made it happen for this plant to be allowed for medical use in England now. But this is not enough. It has to be available for everybody. It does not have to be for everyone though. If it is not your thing, that is fine too. For healthy young people for instance. Postpone it would be my advise. There is also really no need for it when you are in your full health and prime of your life. For those who are said to have fallen into a disturbed state of mind because of cannabis, please reconsider and look carefully at the all the official recent studies on this that came to the conclusion that cannabis often,is a preferred medicine for mentally disturbed people and it is actually good for them. Even for serious conditions like schizophrenia. These people too deserve support for their excellent choice of medicine. And some people do function better without it, that is fine too. The point is there should be freedom regarding this plant. No silly laws telling people they can have 4 or 5 plants. I am talking about real: Total freedom. All governments have to legalize cannabis for recreational use, with no limits on how many plants one can grow. And. The governments have to fund research into further medical benefits for cannabis. There is nothing dangerous about the natural cannabis plant, indeed, it is probably one of the best things that has ever happened to humanity. The importance the American government attaches to the plant is shown in the fact, they patented it themselves. That may be why the government has hunted cannabis users the most in recent decades, America, registered a patent itself in 2003 because of the fantastic healing properties of this "magic plant". Look up US patent: 6630507 B1, there is your proof. Here you will also find the specific applications for which this patent has been registered. This varies from autoimmune diseases to neurological diseases such as Parkinson's and Alzheimer's. CBD is the second most common cannabinoid in the cannabis plant. This substance has good applications in the field of medicine and is the permitted ingredient wanted by medicinal users who do not want the high caused by cannabis. The medical areas in which CBD can be applied are also numerous. Such as the prevention of inflammation, diabetes, anxiety, rheumatic pains, cardiovascular diseases, epilepsy and also as a painkiller. Unlike THC, which is subject to opium law, CBD can be sold legally and more and more people are beginning to discover the fantastic properties of this natural drug. In America this will soon become more difficult, because not only the government has a patent on this natural product as well, but the pharmaceutical industry is also busy with synthetic variants. All in all, this will probably mean in the future that Big Pharma, in cooperation with governments, will be the only one who will claim all rights to this beautiful plant from nature. While it is legally established that nature cannot/may not be patented. With all kinds of tricks that is what they do now. It has to stop. These plants should be growing by the side of the roads and in peoples gardens everywhere. Fields full of it should be safe to grow for any farmer. Like any other vegetable and herb. Or in more controlled environments if that is what is prefered, but not bound to certain numbers. People who do not have a garden will still buy it, there will still be a market for it. It is just outrageously ridiculous for this healing herb to be made 'illegal' (apart for healing purposes occasionally) and is so being monopolized. And while we are at it. Let's grow them veganic. Meaning: Growing the plants in an organic way, with no poison of any kind. Also everything that is added to the soil or sprayed on the plants etc. has to be 100% vegan in origin. Look at vegan permaculture and cover crops. Vegan no till. veganic gardening Etc. There are other motivational factors for all of the world to grow a lot of weed and go vegan: We can greatly reduce pollution. Cow's produce methane that is 25 times worse for the earth's environment than CO2 is and is responsible for a very very large part of the pollution of the earth's atmosphere. Following a vegan diet is the best action to reduce one's ecological footprint (United Nations, Greenpeace, Forbes, Oxford Martin Schools research) And cannabis is a tall fast growing plant that does the opposite of this. It gives us a lot of oxygen and so good quality air. It restores depleted soils and can grow practically everywhere. It is great for the environment. Also there is starting to come more and more awareness for the greater health benefits of a vegan diet if executed right. For instance: the American Medical Association is now telling hospitals to go vegan and ban meat and dairy. The Institute of Research on Cancer is asking the population to cut down meat and avoid processed meat. And according to the Dietitians of Canada, "a healthy vegan diet has many benefits, including lower rates of obesity, heart disease, high blood pressure / cholesterol, type 2 diabetes, and certain types of cancer." And Canada's Draft Food Guide Favors Plant-Based Protein And Eliminates Dairy As A Food Group. Governments have agreed to the job to organize humanity with their expertise. So everything runs smooth for everybody. So everybody is looked after and can live a happy and full life. They are to listen to the people and act accordingly. Finding ways with all their knowledge to honour everybody in the process. They are not here to run their own agenda of control money and war. We the people will not take this any longer!!! Making a medicine illegal can not be a part of this. Allowing the killing and exploitation of some inhabitants of our earth can not be part of this either. We are with many!!! We arranged for smart people to organise things. If they refuse to do it right we will get others to get it right for all of us. So they better all shape up and get it right for us. And change the laws. All governments have to legalize cannabis for recreational use, with no limits on how many plants one can grow.. The governments have to fund research into any further medical benefits for cannabis, specifically the Rick Simpson protocol. In it, Ask everybody to do the same. The Clinical trials for R.S.O. 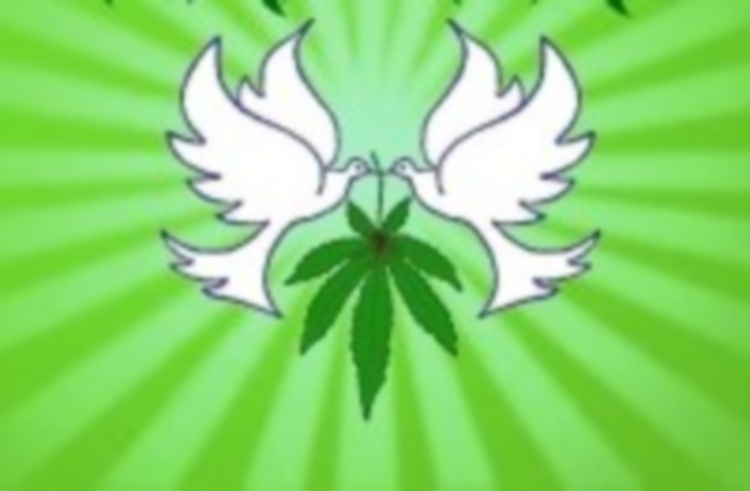 and legalize cannabis petition to House of Commons of the United Kingdom, Everybody, norman.lamb.mp@parliament.uk was written by Dawn Eve and is in the category International Affairs at GoPetition.